With the 2018 call for applications for FEBS Long-Term Fellowships now open, take inspiration from the early-career path of recent FEBS Fellow Avraham Ashkenazi. Avraham also shares a couple of thoughts on the postdoc stage. Avraham Ashkenazi is a Senior Lecturer in the Faculty of Medicine and Sagol School of Neuroscience at Tel Aviv University, Israel. His lab investigates cellular mechanisms of neurological disorders involving protein misfolding and aggregation. Some of his major contributions to the field relate to the connection between polyglutamine diseases, autophagy and the ubiquitin–proteasome system. Before starting his current group leader position in 2018, he completed a postdoc research training in the University of Cambridge, UK in the lab of David Rubinsztein, investigating autophagy and neurodegeneration. 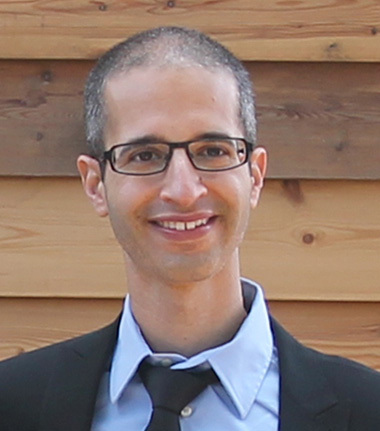 Avraham was awarded a FEBS Long-term Fellowship from 2013 to 2016 that sponsored most of his postdoc training. More recently, he received a FEBS Distinguished Young Investigator Award recognizing outstanding research during his Fellowship, and a FEBS Follow-up Research Fund. How would you describe the current state of research into neurodegeneration? I think that we are at the beginning of a change in research direction, where we are trying to understand the biology of these devastating diseases. For example, some of these diseases carry a mutation in a specific protein but we still do know what the cellular function of the protein is. Elucidating the cellular mechanisms is the next challenge for understanding what went wrong in the disease condition. This may assist in future development of a more 'personalized' medicine that can save the remaining neurons from dying. In the case of neurodegenerative diseases caused by polyglutamine expansion mutation, we asked why proteins need polyglutamine domains. We found that the polyglutamine domain by itself regulates autophagy, an important process for cell survival and for the degradation of polyglutamine disease proteins. An ongoing research is now focused on how to induce autophagy to fight these diseases. What is your view on changing fields of research during early-career stages? How different was your Fellowship work to that of your PhD, and how does your current research relate to the Fellowship spell? For me it was very important to change fields for my postdoc. I did my PhD at the Weizmann Institute in Israel where I investigated entry of viruses, like HIV, into host cells utilizing biophysical and biochemical approaches. The research was exciting and I felt I wanted to investigate human diseases, so I continued to pursue this path in my Fellowship work. Still, expanding my understanding to a different system at the cellular level was vital to have a comprehensive ‘toolbox’ allowing me to solve cutting-edge biological questions. I not only learned a lot of new methodologies and concepts from my Fellowship work but also managed to implement some of my biophysical skills from the PhD into several research projects of the postdoc lab. This is, in my opinion, the ideal training. Since I only started my new position this year, I feel that my current research relates more to the Fellowship work but I believe it will evolve differently in the future. What do you think are the essential ingredients for a successful postdoc? I have learned from my PhD supervisor, Prof. Yechiel Shai, to have an optimistic view, to be open-minded and to have perseverance in research. From my postdoc mentor, Prof. David Rubinsztein, I have learned to be generous and kind towards colleagues, to think of the ‘big’ question when working on research projects and not to be afraid to challenge existing scientific dogmas. These are my 'essential' ingredients for a successful postdoc. Do you have any tips for the next crop of early-career researchers applying for FEBS Fellowships? It is important to write a good research proposal and in many cases the topics are not familiar to you. Thus, you should seek the advice and assistance of the host lab as much as you can. For information on FEBS Long-Term Fellowships on the FEBS website, start here.